Everywhere you look, there is the abyss. Intractable economic crises and deeply felt social and environmental problems grip the planet, which is itself in danger of climate catastrophes. Liberalism shudders before these problems, having surrendered to monopoly capitalism decades ago. The Strongmen—Putin, Erdogan, Duterte, Trump, Modi—have put themselves forward as the saviour, whether in the United States or Brazil, the Philippines or Poland. New ideas seem to be hard to find, particularly ideas that spark hope for a future. It is in this context that we—at Tricontinental: Institute for Social Research—have been at work. 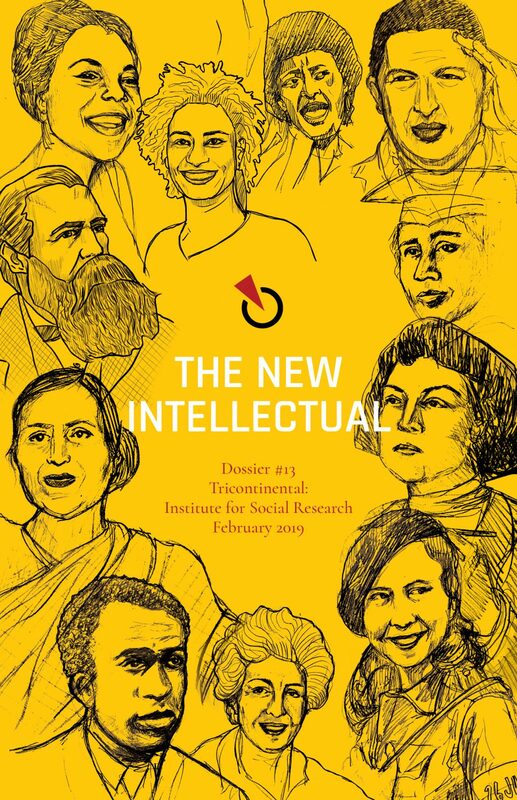 In this, our 13th Dossier, we provide a short assessment of our understanding of our work—our participation in the Battle of Ideas and our commitment to the production of new intellectuals. These two matters—the battle of ideas and the new intellectual—take up the first two parts of this dossier. The third part enters a brief discussion of our political context and offers a map of our concerns and our research. We look forward to your response to our invitation to a dialogue. Clockwise from top left: Andrée Blouin, Marielle Franco, Winnie Madikizela-Mandela, Hugo Chávez, Anna Julia Cooper, Alexandra Kollontai, Vilma Espín, Anahita Ratebzad, Frantz Fanon, Godavari Parulekar, and Friedrich Engels. Click here to download a PDF version of Dossier 13. In 1999, Cuba’s Fidel Castro introduced the concept of the ‘Battle of Ideas’ to the general public. Two parallel developments forced Castro to start a public campaign over the notion of ideas and morality: the collapse of the Union of Soviet Socialist Republics (USSR) and its impact on Cuba. A world order with the United States and its allies as the dominant powers. Free market trade policies that would ensure the permanence of monopoly capitalism. The form of liberal democratic governments that would need to be exported to countries that had yet remained under autocracies and monarchies. Marxism had been set aside by Fukuyama and others. It was to be treated as an anachronism. Socialism and Communism, they suggested, had been defeated in the Cold War. The collapse of the Soviet Union, for them, was essentially the surrender of the great historical battle that opened up with the 18th century revolutions in France (1789-1799), Haiti (1791-1804) and the United States of America (1775-1783). Those revolutions, the Hegelians of the 20th century argued, started a debate between the ideas of liberty and equality. The idea of liberty suggested that individuals must be kept safe from state intervention, while the idea of equality suggested that all instruments (including state intervention) must be used to create a more egalitarian world. In a crude way, the forces of equality (namely those who fought to build socialism) had lost in the early 1990s, while the forces of liberty (namely those who wanted to allow capitalism free run) had triumphed. 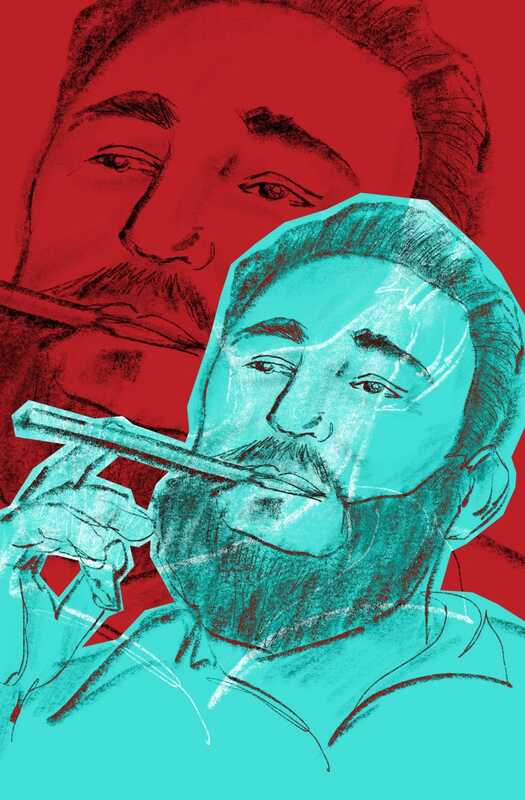 In that context of the victory of the United States—as it were—Castro said that the new era had forced the left to enter a battle of ideas and to forcibly engage the neo-liberals who wanted to create a world that would be the playground of the propertied. The ideas of the bourgeoisie, Castro said, are asphyxiating. They assume that the psycho-social palate is entirely understood by greed, that profit maximization—the emotional range of the businessman—can describe all of human behaviour. They believe, Castro said in Caracas (Venezuela), that human beings are animals ‘moved only by a carrot or when beaten with a whip’. The neo-liberals do not see that human beings are complex, that we love, and we care, that we think, and we consider. It was at this level that we have to intervene—Castro said—as much as at the political level and the geo-political level. The doors of academia slowly closed to the world of Marxism and to other emancipatory theories. It was in this context that Castro and the Cuban government launched the Battle of Ideas, a battle to defend the creativity and criticalness of Marxism. 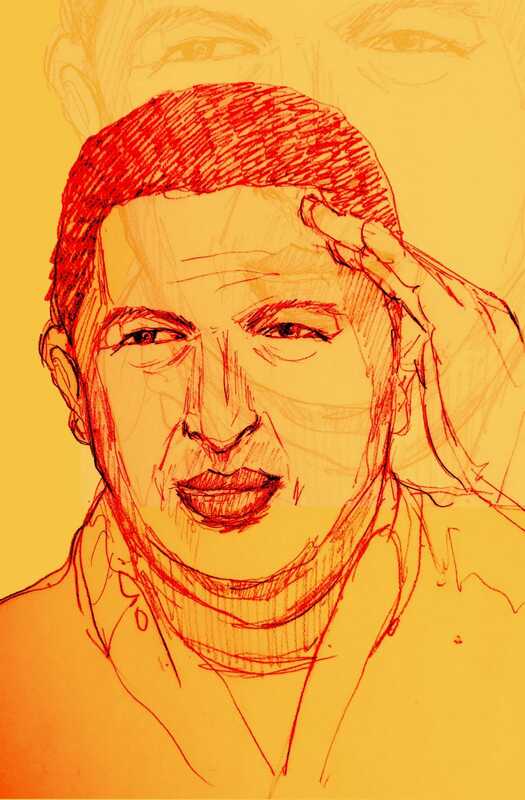 It was to argue—and here Castro quoted his hero Jose Martí—that the trench of ideas is as important as the trench of stones, that the struggles inside the various cultural and intellectual institutions are as important as the struggles on the streets. The fall of the USSR had posed very difficult challenges for Cuba. Simply put, Cuba had relied upon the USSR for its wheat and rice imports. With the collapse of the USSR, Cuba’s access to flour diminished, while Cuba’s exports of sugar to the USSR and to the Eastern bloc countries fell significantly. In 1991, Russia’s new President Boris Yeltsin ended all assistance to Cuba. Cuba’s imports collapsed by half between 1990 and 1993, while its Gross Domestic Product shrunk by 35%. This was a catastrophe. At the Fourth Party Congress in September 1991, Castro told his comrades that the collapsing USSR had been unable to fulfil 42% of its contracts. This impacted the upgrades of machinery and the delivery of flour to bakeries. The USSR and the Eastern European countries, which had previously provided their ships to carry Cuban produce (citrus, sugar) to Europe and to the USSR on a solidarity basis, now asked for payment in hard currency. This was impossible for Cuba. The U.S. embargo hardened, and Cuba was increasingly isolated. It was in this difficult context that Cuba entered what they called the Special Period in a Time of Peace. The Special Period was intended to emphasise the need for new policies and deep sacrifices in order to pivot away from any reliance upon the USSR and Eastern Europe and to achieve greater economic autonomy for Cuba. The new policies fluctuated from the creation of greater self-reliance in some sectors to greater reliance on foreign economic assistance (including tourism) in others. The positive highlights of the Special Period can be seen in the promotion of self-sufficient agro-ecological farming, in the creation of new institutions to harness the environment without destroying it (including Cuba’s extensive coral reef) and in the encouragement of renewal resources for Cuba’s energy demands. But this was not sufficient to cover the immediate fiscal crisis in the country. Cuba—by necessity and against its own views—had to promote tourism and mining. Castro and the Cuban government could find no permanent solution to the economic vulnerability of Cuba—hemmed in by the U.S. embargo and unable to find global allies with whom to trade on a solidarity basis. The Battle of Ideas provided a mechanism to galvanise public action against the ideological confusion provoked by tourism and resource extraction and by economic misery. The Young Communist League took the lead, defending communist values through mass struggles to clarify the role of imperialism in the suffocation of Cuba. 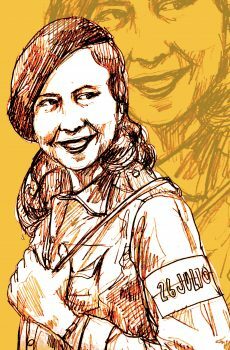 Mobilisations such as the campaign to free the Cuban Five (held in Miami on charges of espionage) and the campaign to bring back Elian Gonzalez back to Cuba gripped the Cuban youth. I do not think that those changes were historically inevitable. I cannot think that way. I cannot adopt that fatalistic approach, because I do not think that the return to capitalism and the disappearance of the socialist field was inevitable. I think that subjective factors played an important role in this process. There were all kinds of mistakes, for example, the divorce from the masses. If we were to delve deeply into this subject, we would say that there were large ideological weaknesses because the masses moved away from the ideals of socialism, among which human solidarity is primary. The real values of socialism were being neglected, and the material questions received more attention as time went by. The ideological part of this kind of process was being neglected, while the materialistic part was being stressed. It suddenly appeared as if the objective of socialism, according to the statements, speeches, and documents, had focused only on improving the standard of living of the population every year: A little more cloth fabric, a little more cheese, a little more milk, a little more ham, more material stuff. To me, socialism is a total change in the life of the people and the establishment of new values and a new culture which should be based mainly on solidarity between people, not selfishness and individualism. Conversations about solidarity and the need to found Cuban society on communist morality took hold. This was the domestic context of the Battle of Ideas. Over the course of the past twenty years since the Battle of Ideas was launched, much has changed. Cuba was rescued briefly from its desolation by the arrival of the Bolivarian project in Latin America. In 1999, just as the Cubans launched the Battle of Ideas, Venezuela’s newly elected Hugo Chávez visited Havana and said, ‘Venezuela is traveling towards the same sea as the Cuban people, a sea of happiness and of real social justice and peace’. In 2004, Cuba and Venezuela began solidarity trade, which included the building of a fibre optic cable from South America to the embargoed Cuba. Trade increased, with Venezuelan oil flowing to Cuba and with Cuba technical assistance welcomed in Venezuela. But this period was short-lived. The imperialist attack on Venezuela and Cuba came sharply, with the current crisis in Venezuela having a serious impact on Cuba. Francis Fukuyama, the U.S. State Department official, has recanted his views. He has, in a sense, postponed the end of history. Books are now being taken seriously when they suggest that income and wealth inequality are at obscene levels. 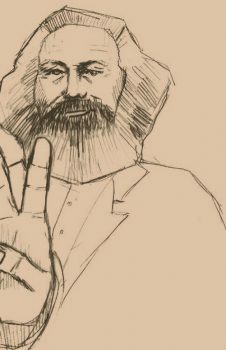 The credit crisis of 2007-2008 provoked many serious commentators to suggest that the ideas of Karl Marx need a second look. In the heartlands of the West, socialist politicians have had a new beginning, while protests along the grain of Marxist theory have broken out from Oakland (California) to Paris (France). Signs of a fraying hegemony become more and more evident as the bourgeoisie resorts to tear gas and to taser guns. The people who are now popularly known as the 1% no longer pretend to have answers to the planet’s problems. Few are left to believe that privatisation and entrepreneurism are the ways of the future. Even billionaires are doubtful that they will be able to control the world order. Their gated communities—defended by high walls and armed guards—will not be enough as the waters of climate change rise and as the mobs of an atomised society run towards them. Scenes of the Israelis attack on Palestinians at the Gaza barrier and of the U.S. attack on Hondurans at the Rio Grande barrier are a taste of what has already come. History has not ended. It continues, the dialectic oscillating between the Order of the present and the Hope for a future. In his Eleventh Thesis on Feuerbach from 1845, Karl Marx wrote a line that has since become justly celebrated: the philosophers have till now only interpreted the world; the point, however, is to change it. What Marx meant was plain—that intellectuals of his day busied themselves with the interpretation of the human story. They did not seem to want to change anything. The inequalities of capitalism did not bother them. Two years previously, Marx had offered a Latin slogan—muta pecora, prona et ventri obedientia, the herd is silent, submissive, and obeys its stomach. That attitude had to end. Marx’s Third Thesis on Feuerbach is often ignored—it is essential to educate the educator himself. How to educate the educator, the intellectual? By ‘revolutionary practice’, Marx wrote. 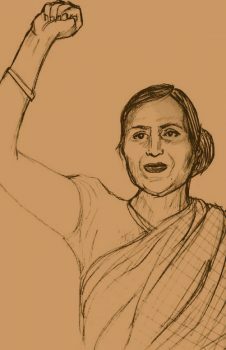 The idea of ‘revolutionary practice’ refers both to an attitude to society and to an obligation to participate in the transformation of society. This attitude toward society, this stance, is one that suggests that social forms are not eternal and unchangeable. They are always in motion. Since they are in motion, it is possible to struggle to make them more humane. That is the task of the intellectual. Marx found it impossible to deny the desire for change. 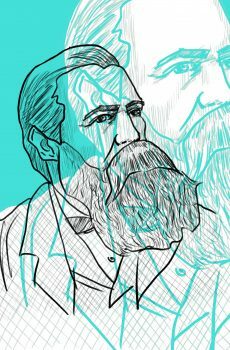 It was this desire for transformation that drove intellectuals like Marx to go to the root of why things were so unequal and miserable. It was not just that the rejection of bourgeois methods and that the creation of a new system of knowledge led them to the truth. 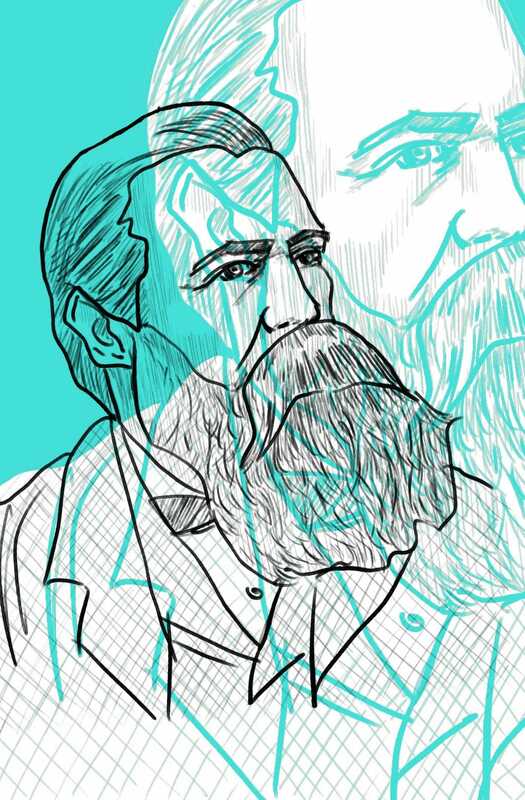 Their new method—Marxism—could not merely be composed of better tools. It had to produce tools based on an entirely different platform. It had to look at reality from a historical perspective and understand concepts to be provisional for their times, to be historically specific. It had to understand that human structures and social processes come from somewhere and are, therefore, able to go somewhere else. This was a lesson that gripped the generations after Marx, as intellectuals from different class backgrounds and different nationalities turned to their societies to learn about them and to transform them. The possibility of an emancipatory intellectual had arrived. But, this kind of intellectual thought—whether academic or artistic—was in the minority. Most intellectuals did not throw themselves into the emancipatory movement. The lure of older commitments—to social hierarchy, to money and to god—was not easy to avoid. Marx’s acerbic comment about those who only interpreted the world but did not seek to change it was geared towards a specific class of intellectuals. These are intellectuals who stand apart from the world, who see themselves and their work untouched by the messiness of inequality and war, suffering and struggle. These intellectuals were part of institutions but saw these institutions as somehow a base camp of Mount Olympus–where the Gods lived–and not themselves a product of state and society that used surplus value to build these institutions. Such and such professors had such and such great ideas. But who cleaned their offices? Who did their research? Who handed over her surplus labour time that was then used to give the professor leisure? Who? Such professors do not care. Such professors feel that life owes them release and that they can think and do as they please. Such professors have no obligations to the world. Such professors write about the world but see themselves—godlike—as above the contradictions of the world that produce the professorial perch. Such a posture of detachment is possible. It has been with us for centuries. It is defended by high walls and degrees, by security guards and by jargon. In fact, as Frantz Fanon wrote, this jargon is dangerous. ‘The business of obscuring language’, Fanon wrote, ‘is a mask behind which stands out the much greater business of plunder’. The intellectual has to make the structure plain. The mouse, meanwhile, who nibbles on the professor’s notes knows that intellectuals live in the world, that they are rooted in the world, that they have their own class habits and that they possess their own class instincts. 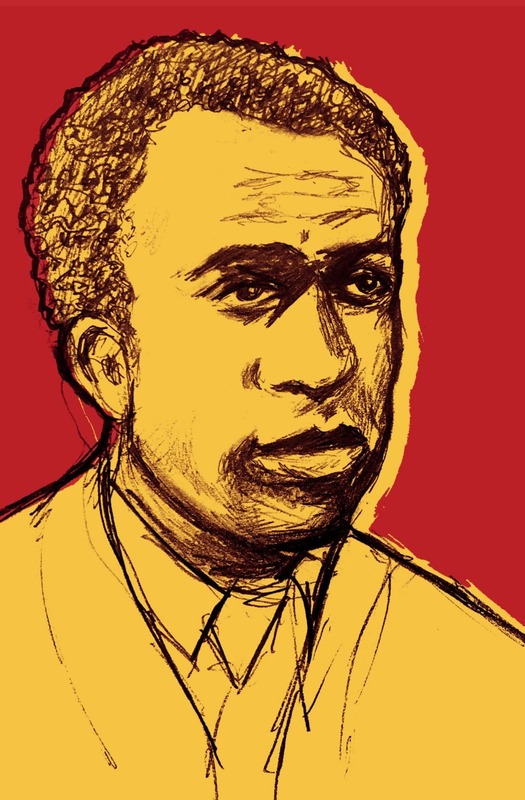 Intellectuals who are committed to the projects of the working class and dispossessed know, in Fanon’s words, that ‘everything can be explained to the people, on the single condition that you really want them to understand’. The very best of these intellectuals want to understand the world, to draw historical or trans-historical explanations for what they see around them. But, most of them in Marx’s time and in our own time, write of the world without a sense of how to transform what they observe. Theirs are texts of interpretation, texts that begin with an attitude towards reality that suggest its intractable nature. Even those who sense a problem and want to change things do not necessarily study reality in motion, reality with the possibility of transformation. To take this stance, Marx suggested in that key sentence (the philosophers have till now only interpreted the world; the point, however, is to change it), is to believe fundamentally in the possibility of change and to trace within the present the tracks towards an emancipated future. A half century after Marx wrote that line, the Italian Communist militant Antonio Gramsci returned to the theme of the emancipatory intellectual. Gramsci was clear that there was not one kind of intellectual but many kinds of intellectuals. Intellectual activity could not be assumed to lead inexorably towards fealty to socialism. 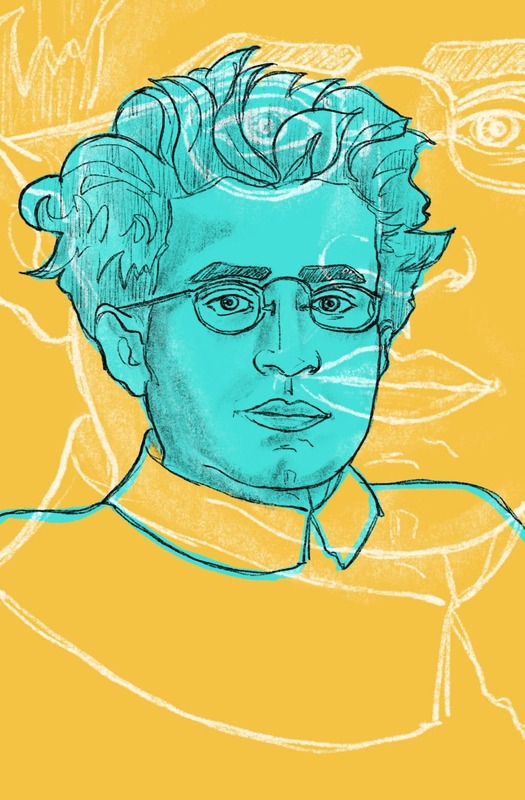 Most intellectuals—Gramsci noted—either were averse to any change or did not see themselves as either conservative or emancipatory but as technical thinkers. 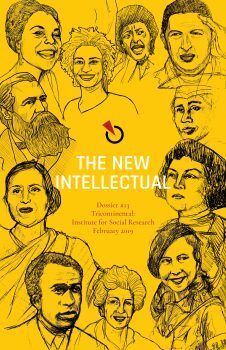 To this end, Gramsci offers a useful set of distinctions between organic intellectuals, traditional intellectuals and intellectuals of a new type. Every social group born on the terrain of an essential function in the world of economic production creates itself together with itself, organically, one or more strata of intellectuals which gives it homogeneity and an awareness of its own function not only in the economic, but also in the social and political fields. The capitalist entrepreneur creates alongside himself the industrial technician, the specialist in political economy, the organizer of a new culture, of a new legal order, etc. Each class, therefore, produces its intellectuals. The capitalist class requires the neoliberal economist (‘specialist in political economy’) and the advertising executive (‘the organiser of a new culture’). Each of these intellectuals put themselves forward as neutral, as beyond class, as scientists of reality. But, in fact, they are governed by a certain class position, a certain view of the world that is shaped by the interests and needs of the capitalist class. It is the capitalist economist who will, for example, insist that hunger in the world is a result of scarcity; this economist would not like to acknowledge the fact that the world produces 150% of food requirements. The peasantry has its own intellectuals—farmers who understand crop disease and weather, who are consulted by other farmers about mishaps on the field or for advice about irrigation. These are intellectuals of the peasantry. Each intellectual is organic to his or her class. These are organic intellectuals. These intellectuals, Gramsci noted, give ‘homogeneity and awareness of its own function’ to their respective classes. It is, however, the intellectual of the dominant classes who is able to establish their views of social life as universal views. They are able to conceal their class bias through the pretensions of a social science, establish categories and concepts that appear pure rather than congealed in the interests of the dominant classes. In mainstream economics, for instance, scarcity is the concept that shapes the discipline. If scarcity is the main concept, then the discipline asks the next question: how to best distribute scarce goods, for which the answer is ‘the market’. But even this ‘market’ is not a neutral term. It conceals within itself that the market is shaped by social structure, by those who are powerful enough to define the market. ‘Market choices’ mean, for instance, that those who are hungry but who have no money should not be permitted to eat. In our time, according to the UN’s Food and Agricultural Organisation, about a billion people are hungry. This is a very conservative number. India itself has about 700 million people who are hungry. Markets, say the mainstream economists, set prices, and prices are the best way to allocate scare resources. This is seen as a neutral proposition, when in fact this is a view of the intellectuals who are organic to the dominant classes. Other intellectuals, who are rooted in the worldview of other classes such as the peasantry, might ask: how can it be that those who farm the food cannot eat the food? How is it that the world produces more than hunger desires? What happens to the rest of the food? Why do governments destroy it before it is allowed to feed the hungry? These are questions outside the pretensions of the intellectual world created by those intellectuals who have adopted the class perspective of the elite bloc. The intellectual of the peasantry is not taken as seriously as the intellectual of the capitalist class. In each social formation, the dominant class determines what is logical and is seen as true. Therefore, the intellectuals of the dominant class are seen as the real intellectuals, as the traditional intellectuals. The economist and the advertising executive are the traditional intellectuals of the order, but so too are those who are vestiges of the older era, such as priests and landlords. For Gramsci, neither the organic nor the traditional intellectuals are inherently conservative nor radical. Typically, traditional intellectuals—being rooted in their dominant class–are conservative and against systemic change that would rattle the social order. Organic intellectuals of different classes are often governed by the mode of thought produced by traditional intellectuals so that they too are often conservative and are not enthusiastic about change. Intellectuals of the peasantry who become priests or lawyers are hemmed in by the social conservatism of religious and judicial institutions. This reflects Marx and Engels’ comment in The German Ideology, ‘the ruling idea of the age are the ideas of the ruling class’. However, there are some organic intellectuals of the working people who see the conditions of their class, interpret them against the ruling ideas and produce a radical understanding of the world. Their views emerge but might dissipate unless they are rooted in a social or political movement, preferably in a political party of some kind. Gramsci calls these intellectuals the new intellectuals, those who throw themselves into ‘active participation in practical life, as constructor, organiser, permanent persuader’. The permanent persuader, the new intellectual, Gramsci notes, is the person who is devoted to working to alleviate the grievances of the people, to elaborate popular consciousness, to push the suffocating narrowness of thought outwards and make more and more space for popular struggles to sustain themselves and win. 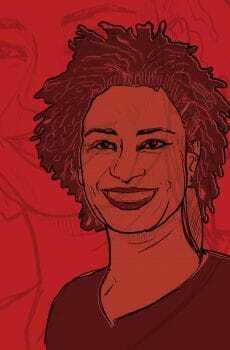 These new intellectuals are not necessarily Marxists, but they are certainly invested in the struggles of the key classes of the people and they are certainly clear about the need to fight to build a socialist world. In 1935, the German Marxist playwright Bertolt Brecht wrote a short note on capitalism and fascism: ‘Those who are against fascism without being against capitalism are willing to eat the calf, but they are against the sight of blood. They are easily satisfied if the butcher washes his hands before weighing the meat. They are not against the property relations which engender barbarism; they are only against barbarism itself’. ‘Property relations’ referred to capitalism—in which a small minority of the world’s population holds the vast mass of social wealth (land, labour and capital). This social wealth is used homoeopathically to hire human beings and exploit nature not for any other reason than to make money from money, namely for profit. Concern for humans and nature does not drive the investment of this capital, greedy by its nature. This capital stands apart from human life, eager to accumulate more and more capital at all costs. What drives the few—the capitalists—is to increase their profits by seeking higher profitability. First, a tax strike, where the capitalists use their political power to reduce the tax burden on themselves and increase their wealth. Second, an investment strike, where the capitalists cease investing in the productive sector but instead park their wealth speculatively to preserve it. These strikes by the capitalists draw social wealth away from social use and dry up the economic prospects of very large numbers of people. With increases in automation and productivity, capitalists begin to substitute machines for workers or else displace workers by the efficiencies of the production process. In this case, investments are made—into machines and into workplace efficiencies—but these have the same impact on society as the investment strike, namely that there are less people employed and more people become permanently unemployed. High rates of income and wealth inequality alongside dampened aspirations for a better life amongst large sections of the population create a serious crisis of legitimacy for the system. People who work hard but do not see their work rewarded begin to doubt the system, especially if they cannot see an exit from the ‘property relations’ that impoverish them. Mainstream politicians who champion the ‘property relations’ and who call upon the desperate to become entrepreneurs are no longer seen as credible. We hope to provide examples of a possible future that is built to meet people’s aspirations, share glimmers of this future that exist today. The Strongmen—such as Trump and Bolsonaro–enter where no such future seems possible. They belittle the mainstream politicians for their failed projects, but then they do not offer a coherent solution to the escalating crises either. Instead, the Strongmen blame the vulnerable for the dampened aspirations of the vast majority. Amongst these vulnerable are social minorities, migrants, refugees, and anyone who is socially powerless. The fangs of the Strongmen are flashed at the weak, who earn the anger of those who have high aspirations but cannot meet these aspirations. Imperialist wars that run from an arc that begins in Central Asia and runs to South America intensify. The fig leaf of humanitarian intervention sits loosely over the realities of re-colonisation and resource theft. The Strongmen draw on the frustrations of people without offering any reasonable exit from a situation of high inequality and economic turbulence. One theory to explain the problem is that of under-consumption. The general tenor of this theory is that the goods being produced cannot be purchased by the mass of people, since these people do not have enough income to buy them. This is a problem of the demand-side. If there is a way to increase the money given to the mass of the people, then they can increase consumption and save capitalism from its crisis. One approach toward this under-consumption problem is to increase the delivery of private credit to people who will then be urged—via advertisements—to live beyond their incomes. They will go into debt, but their consumption—it is hoped—will stimulate the economy out of a crisis. Eventually, these people will not be able to pay off their debts. Their debt will balloon and will create serious social problems. Governments will be forced to borrow to lift the burden off the backs of the banks—when the borrowers go bankrupt. When governments borrow to save the banks, they take on the obligations of the banks. This puts pressure on governments to cut their own budgets, with the knife going mainly to slice social spending. The delivery of private credit by banks to solve the problem of under-consumption typically ends with governments in debt and then widespread austerity programmes. A second approach toward this under-consumption problem is for the government to give an economic incentive to consumers through tax cuts or through a direct cash transfer scheme. Either way, the government turns over its money to the people and encourages them to buy goods and stimulate the economy. Once more, it is the government that goes into debt to solve capitalism. Once more, the debt will balloon, and the government will have to go into an austerity programme to appease the creditors and the IMF. Once more austerity will result, and it will once more dampen the buying power of the public. Either individuals and families or the state go into debt in order to increase aggregate consumption and save capitalism from itself. By this method, capital itself is not asked to sacrifice anything. It is allowed to pursue the strategy of profitability. Substitute machines for people or make people more efficient. This allows firms to hire less people, to take advantage of automation and productivity gains and to leverage their effective competition to wipe out their competitors. Transfer factories to areas where wage rates are lower and where regulations of the workplace and of the environment are suppressed. Decrease the tax burden by going on a tax strike, transferring their money to tax havens. Move capital from productive activities into finance, trade and rent-seeking activities. Buy up public assets at low costs and monetise them for profit. These strategies allow capitalists to increase their wealth, but at the same time impoverish other people and society. People are asked to be patriotic. Capital is only asked to be profitable. For the Left, this situation poses serious challenges. The first set of challenges is to find a way to organise people who find their society shattered and their expectations confounded. The second set of challenges include how to find a policy exit from this system and its limitations. What are the challenges before us to organise the people against the intractable system? Aspirations. Over the course of the past five decades, the capitalist media and the advertising industry have created a set of aspirations that have broken the culture of the working-class and the peasantry as well as the traditional cultural worlds of the past. Young people now expect more from life, which is a good thing, but these expectations are less social and more individual, with the individual hopes often attached to commodities of one kind or another. To be free is to buy. To buy is to be alive. That is the motto of the capitalist system. But those who cannot afford to buy and who go into debt for their aspirations are also constantly disappointed. It is this disappointment that the Strongmen channel towards hatred. Can left movements channel this disappointment into productive hope? Atomisation. State cuts of social services, the increased privatisation of social life and the astronomical increase of interaction with the digital world has increased atomisation of human interaction. Where people had previously exchanged ideas and goods, helped each other and inspired each other, now there are less and less venues for such face-to-face interactions. The fragmentation of society and the exhaustion of people to find survival has made it harder for the left to bring people together to create social change. Television and social media now dominate the world of communication. These are venues that are owned by monopoly capitalist firms. The left has always relied upon institutions of society to be its transmitters. As these social linkages fragment, the left dissolves. Can left movements help rebuild these institutions and processes, this society that is our basis? Outsider. The Strongmen point their fingers at the ‘outsider’—the social minorities, migrants, refugees, and anyone who is socially powerless. It is against these people that the far right is able to build its strength. There can be no left resurgence without a firm and complete defence of the ‘outsider’, a total rejection of the fascistic ideas of hatred and biology that saturate society. It is harder to build a politics of love than a politics of hate. Can left movements develop a politics of love that attracts masses of people? Confidence. 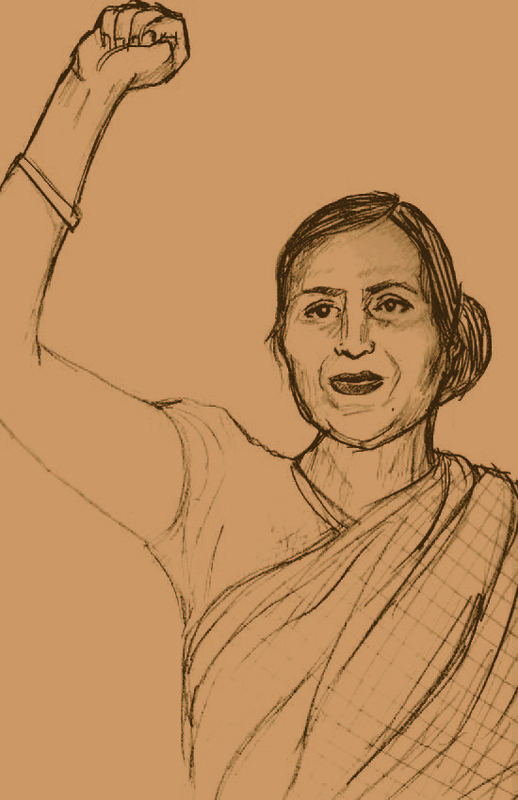 Politics of the people is rooted in confidence. If the people do not feel confident in their activity to either reform or to change the system, then they will not be active. 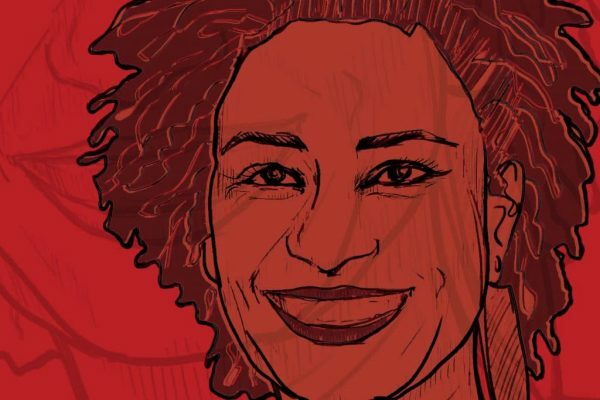 Waves of unrest often lead to increased confidence, but even here the point of emphasis is not the last person to join a protest but the first few people who built the network to build the protest. Social decay leads to a lack of confidence to make political change, particularly when the aspirational society suggests that the only necessary change is for everyone to become entrepreneurial. Can the left produce the sensibility that a future is possible and to engender confidence amongst people to fight to build that future? Democracy Without Democracy. In societies where there is no democracy, this problem is not immediate. In such places, the immediate task is to win the fullest democracy. In those societies where democracy is the main form, or where there is at least an illusion of democracy, the oligarchy and imperialism have used many methods to undermine democracy, to dominate society without suspending democracy. The methods used are sophisticated, including to delegitimise the institutions of the state, to disparage elections, to use money to corrupt the electoral process, to use social media and advertising to destroy opposition candidates and to utilise the least democratic institutions in a democracy—such as an unelected judiciary—to erode the power of elected officials. Can the left defend the idea of democracy from this attrition without allowing democracy to be reduced to elections and the electoral system? Once you have organised people to push for a new world system, what is the policy framework that needs to be adopted? It is here that intellectuals must put their heart and soul into action. We need to think hard about the many creative ways to use our social wealth to solve the immediate problems of humanity—hunger, sickness, climate catastrophe. We need to find ways to uproot the basis of wars. We need to use our creativity to reconstruct the productive sector around forms such as cooperatives. We need to use social wealth to enrich ourselves culturally, making more physical places for us to interact, to produce culture and art. We need to use our social wealth to produce societies that do not force people to work to survive but that subordinate work to human ingenuity and passion. One of the key features of our research institute is to develop a theory of the future. What elements of the future are available today? It is not enough to investigate the problems with the present. It is essential that we participate in the conversation about what a transformed society would look like. To that end, we investigate projects in the present that encourage new ways of living and new ways of producing. One of the great downsides of our current inflation of atrocities is the sense that nothing other than this nightmare is possible. Alternatives cannot be imagined. Mockery pushes aside thinking about a different future. When these are attempted, as they always are by resilient human beings, those in power strive to snuff them out. It is better for the powerful and the propertied to see that no model of an alternative is allowed to flourish. It would call into question the claim that what governs the world now is eternal, that History has ended. It is cruel to think of these hopes as naïve. It tells us a lot that it is easier to imagine the end of the earth than to imagine the end of capitalism, to imagine the polar ice cap flooding us into extinction than to imagine a world where our productive capacity enriches all of us. It says so much about humanity that we want to concentrate on annihilation rather than on the gestures of human potential that can be glimpsed in the cooperatives in Kerala and the movement for the excluded workers in Argentina, that we turn away our faces from the worlds build by landless workers in Brazil and by the shack dwellers in South Africa. These are not developments to scoff at, not initiatives to mock. In the midst of these developments can be seen the seeds of the future. In them lies humanity’s alternative path.